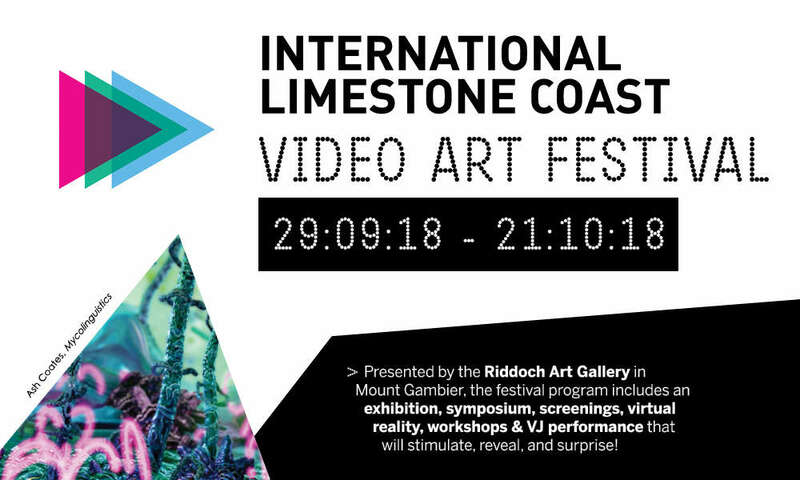 The Riddoch Art Gallery will host the inaugural International Limestone Coast Video Art Festival in Mount Gambier from 29 September to 21 October 2018 to showcase innovative works created by 35 local, Australian and international video artists. Based on the theme ‘The Lived Body’ the festival focuses on art projects that reveal the human relationship with technology and nature, demonstrating the complexity of contemporary life and how technology is used to respond to challenges in the 21st century. “The program is divided between an open call selection and a curated selection and includes an exhibition, symposium, screenings, workshops & VJ performance that will stimulate, reveal, and surprise,” Riddoch Art Gallery Director Dr Melentie Pandilovski said. Opening night will be held on Friday 28 September at 6:00pm with the announcement of the $3000 open call entrant prize and a special performance by VJ Sustenance. On Saturday 29 September 2018 the symposium ‘Video-Body in the New Millennium’ will explore cross issues of art, culture and new technology between 1:00 and 3:00pm at the Main Corner Dress Circle. People interested in learning the basic concepts involved in creating interactive content are encouraged to attend a two day workshop ‘Introduction to Virtual Reality Authoring using Unreal Engine’ with Vladimir Todorovic to be held on Saturday 29 and Sunday 30 September 2018 between 10:00am and 1:00pm on Kings Floor at the Main Corner. A digital storytelling workshop will be held in conjunction with the Media Resource Centre on Saturday 6 and Sunday 7 October 2018 between 10:00am and 3:00pm at the Riddoch Art Gallery Studio. All content posted on this page is authorised by City of Mount Gambier CEO Mark McShane, 10 Watson Terrace, Mount Gambier SA.